ok this is a F30 interior blower noise,,,only happens at high speed,,,,the low fan speed no noise,,,,,so I removed the blower motor to see what’s going on. Well look what I found,,,,some stupid little piece of paper got stuck in the fan blades,,,removed the piece of paper noise gone,,,removing the blower motor is real easy,,,under the passengers kick panel and removed 4 little torque head screws,,,,and it falls out. 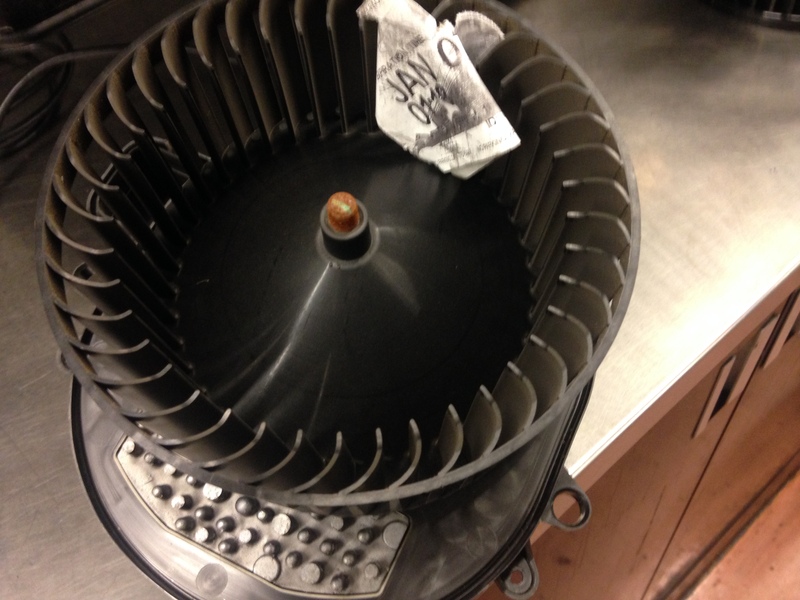 This entry was posted in Uncategorized and tagged blower motor, f30, interior, noisey. Bookmark the permalink. No I haven’t come across this problem before,,,,,it sounds like the a/c and heater vent flap motors keeps cycling,,,I would have the dealer check it out.